From the 24th of June to the 20th of July 2016, I was privileged to undertake the Chris O’Brien Travelling fellowship to the United States culminating in the AHNS 9th International meeting in Seattle, Washington. The logistics of a month away from work are daunting to say the least but I was fortunate to be recently joined at the Royal Brisbane Hospital in our department by another full-time Head and Neck Surgeon (Dr Scott Borgna) which allowed me to at least travel knowing that operations were still happening, new patients were being seen and old patients reviewed. In 2008 the American Head and Neck Society and the Australia/New Zealand Head and Neck Society established the Chris O’Brien Fund in a joint effort to honor Dr. Chris O’Brien. Dr. O’Brien, founder of the Sydney (Australia) Head and Neck Cancer Institute and active member of both societies, was diagnosed with a malignant brain tumor in 2007. After a valiant battle against the cancer, Dr. O’Brien passed away in early June 2009. He did, however, live to see the first recipient of the Chris O’Brien International Lecture and Traveling Scholar Award named. The Chris O’Brien Fund will support a lecture in memory of Dr. O’Brien at the International Conference on Head and Neck Cancer held every four years and additionally will support the Chris O’Brien Traveling Scholar Award which allows for a young head and neck surgeon to visit the United States or Australia/New Zealand in order to further their education. The first Chris O’Brien International Lecture and Traveling Scholar Award recipient, Dr. Carsten Palme of Australia, received the award at the AHNS 2009 Annual Meeting in Phoenix, AZ. More recent, Dr. Porcedu was the 2012 Award recipient and recognized at the Eighth International Conference on Head and Neck Cancer in Toronto. 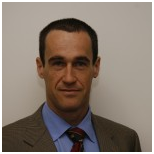 Professor O’Brien has two postgraduate degrees from the University of Sydney – a Masters of Surgery for his basic research in microvascular surgery and a Doctorate in Medicine for his work on the management of metastatic cancer in the neck. He is the author of over 100 scientific papers and 17 book chapters and he has been honored with invitations to many countries and institutions as a visiting professor and guest lecturer, including invitations to give numerous prestigious named lectures: the Hayes Martin Lecture in Washington in 2004, the Eugene Myers International Lecture in Los Angeles 2005, the inaugural Jatin P Shah Lecture in Prague 2006 and the Semon Lecture in London 2008. He was also made an Honorary Fellow of the Royal College of Surgeons of England in recognition of his contribution to the training of young British surgeons. His published works contributed significantly to our understanding of the patterns of metastatic spread of cutaneous malignancies and their management. In 1998, Professor O’Brien founded the Australian and New Zealand Head and Neck Society, a multidisciplinary society comprising of surgeons of all disciplines, radiation and medical oncologists and allied health professionals. He was President in 2004. He served on Council of the AHNS from 2005-2008. He was a founding member of the International Federation of Head and Neck Oncologic Societies, and served on its council throughout his active career. 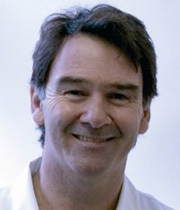 In 2003 Professor O’Brien became Director of the Sydney Cancer Centre, based at Royal Prince Alfred Hospital and the University of Sydney, while maintaining all of his clinical, teaching and research responsibilities. He has developed a proposal to transform the Sydney Cancer Centre into a $250 million world-class comprehensive cancer centre, supported by the Government and philanthropic funds raised by him. This dedicated Head and Neck Cancer centre will be called, “Life House – The Chris O’Brien Cancer Centre”. If you would like to make a donation to the AHNS Chris O’Brien Fund, please go visit our Donations page.